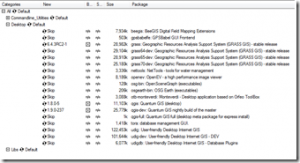 Download and Install quantum GIS – QGIS with oracle connectivity. Quantum GIS is an open source cross platform software for developing GIS (Geographic information System) solutions. 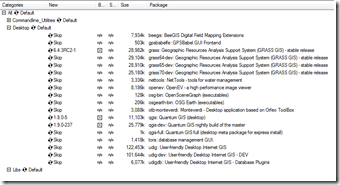 QGIS connects to large set of spatial database and supports many data file formats, which enable us to visualize data, analyze data, edit data and generate a final map. QGIS is a best alternative to ESRI ARCGIS Desktop and is available for free under GNU General Public License. 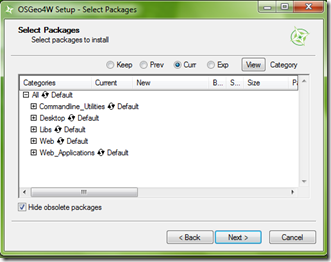 You can download and install Quantum GIS from either of the two way, i.e by standalone installer software or you can install it with OSGeo4w installer. OSGeo stands for open source geospatial foundation which include many open source projects, geospatial libraries, desktop application and web mapping. While QGIS can be installed by one click with QGIS standalone installer, but it is better to install QGIS with OSGeo4w software as it helps you to install many libraries and packages with QGIS. 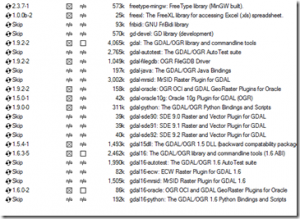 As this post topic is concentrating for QGIS with oracle connectivity, so, for that reason we need to install GDAL/ORG library with QGIS , and it would be easy for you to install with support of OSGeo4w installer. You might be interested in looking at QGIS tutorial. 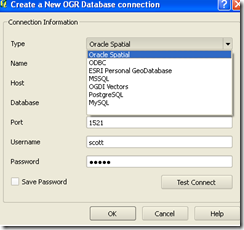 If you have already done with this, you can see post to connect qgis with oracle : QGIS connect with oracle. 1.) 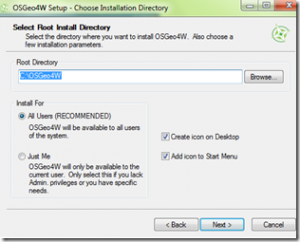 Download osgeo4w installer, from the link provided http://trac.osgeo.org/osgeo4w/. a. )Run the installer and select “advanced Install” and select “Next”. b. 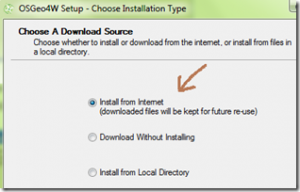 )Choose Install from internet when choose download source appears, as shown below. c.)Select root directory, then next and select package directory and select next. Choose your internet connection. Default installation directory will be, C:\OSGeo4W. If you want to change the directory you can choose and select the same, as shown below. a.) Command line utilities: Dont need to select any utitlies from this for our above aim. 2.) After selecting all libraries, click on next. This step will connect you to internet and install all the library and utilities that you have selected. This may take some time to download and install. 3.) All done. Now Open Quantum GIS and select add vector layer. Now select database in vector layer window and see if oracle spatial is on the list or not. If every thing is perfect, You can now move this post for connecting qgis with oracle: How to connect to Qunatum GIS with oracle. If you are having any problem to Download and Install quantum GIS – QGIS with oracle connectivity, comment on below. 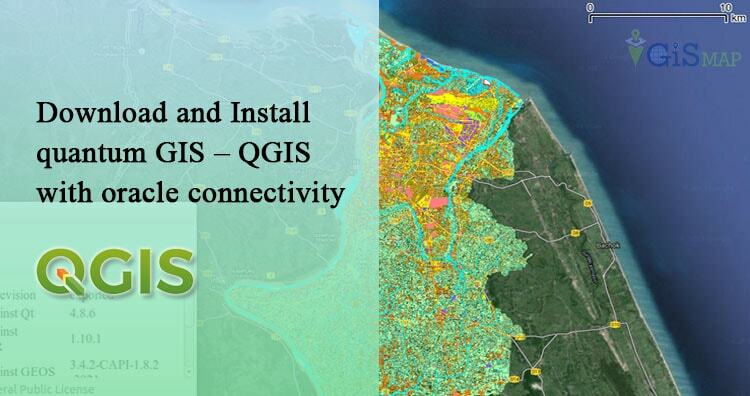 As i am also a newbie to QGIS, we will discuss and make out some proper solution.